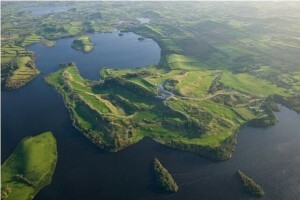 View the the course hole flyby of at Concra Wood Golf Club. To view the hole flyby of the golf course at Concra Wood Golf Club Ireland please click on the below icon, you will be presented with a course map, you can select the number of the hole you wish to the view and it will be loaded automatically. This will show you 11 holes that draws you to the waters edge with the other 7 holes promising an exciting challenge.